“Congratulations on a very successful event! I am still absorbing the whole experience. It was amazing. I was thrilled with how everything went and very grateful for the wonderful work of you and all your colleagues. You did a tremendous job.” – Betsy Bogard, IFOPA Director, Global Research Development. The International FOP Association is a non-profit organization supporting medical research, education and communication for those afflicted with Fibrodysplasia Ossificans Progressiva (FOP), a rare genetic condition that causes bone to form in muscles, tendons, ligaments and other connective tissues. 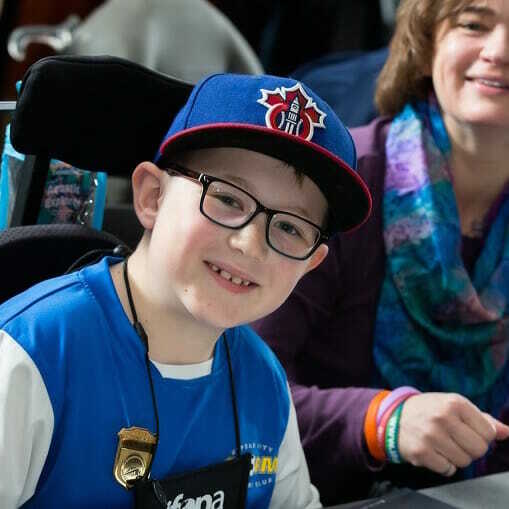 IFOPA’s mission is to fund research to find a cure for FOP while supporting, connecting and advocating for individuals with FOP and their families and raising awareness worldwide. In 2014, the organization produced its first FOP Drug Development Forum, a live event designed to promote collaboration and encourage progress in developing FOP treatments. Two years later, Bishop-McCann was brought in to professionalize corporate event planning and production for the Forum. Outsourcing the meeting to corporate meeting planners would allow IFOPA personnel to focus exclusively on their research and patient programs and alleviate volunteer labor. The two-day 2016 Drug Development Forum was held in Boston. The Forum included 170 attendees, 28 speakers and 10 FOP patients and their families. Our event planning team was integral in managing the venue, food and beverage options (including special meals for patients with specific dietary requirements), speakers, content, printed materials and gifts. Communication objectives were achieved and today, momentum behind the Forum continues to grow. In 2017, the U.S. FOP Drug Development Forum will merge with an annual international research meeting in Italy and our event planners have been invited to present a corporate event proposal for the first Forum in Europe. Client feedback from the Boston meeting, meanwhile, continues to be overwhelmingly positive.